Designed with the active woman in mind, MissFits Nutrition’s products are the highest quality. 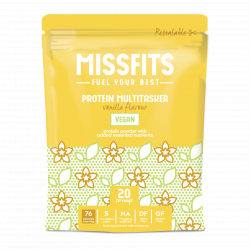 Bursting with lean pea protein, crammed with essential nutrients and packed in a convenient sachet… The Multitasker is the ultimate sweat buddy! 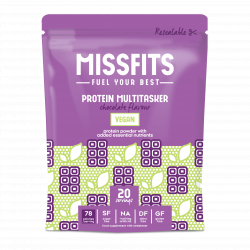 As Featured in: Women's Health, Women's Fitness, WellToDo, Health & Fitness, Grazia and SheerLuxe.